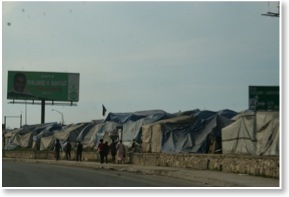 At the end of December 2010, I had a life-changing opportunity to visit Haiti with Brother Andre Petit (from Quebec, Canada), his two daughters, Catherine and Anne, and their cousin Helene Pepin. 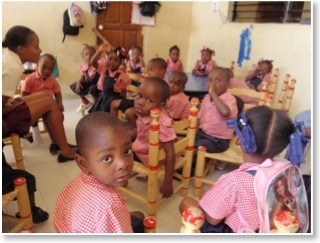 We were able to volunteer at an orphanage run by Brother Etienne Bruny in Port-au-Prince. This kind of humanitarian trip was one I had always wanted to make, and was an experience I will never forget. 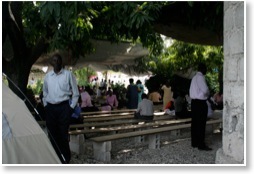 During our time in Haiti, we met many wonderful people with incredible testimonies of how God saved and provided for them through the devastating earthquake that occurred just over a year ago. We attended three separate Message churches, and in each, found believers who exhibited great trust in the Lord to provide for their many needs. They also extended God’s love to others in need. One family told us that they found a little girl, around three years old, wandering around after the earthquake, and took her in as one of their own. As amazing as this story was, we were told there were many other families that had done the same thing for other orphans. While volunteering at Brother Bruny’s orphanage, we were able to meet and help alongside the well-known Mrs. Jacqueline Lessard, also from Quebec. She is very well known for her dedication over the past seven years to the children at this orphanage. 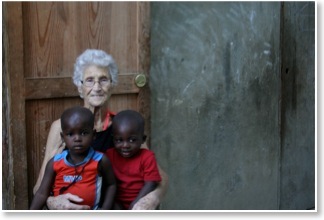 She is 84 years old and has been doing missionary humanitarian work in Haiti for over 17 years. Jacqueline is the “Mother” for the two little boys shown in the photo. A “Mother” within the orphanage is a lady responsible for a specific group of orphans. She has helpers to assist her with the many essential duties that come with the role “Mother”. 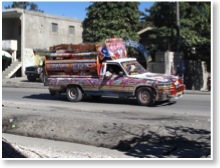 We noticed from the moment we stepped onto Haitian soil that everywhere, on everything, were slogans praising God with the words, "Glory to God”, “Praise Jesus”, “We Love You Lord” and “Thank You Jesus". We would find Bible verses, and the name "Jesus" marked on everything. 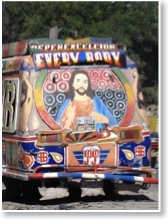 Tap-taps, which are a common form of public transportation in Haiti, were plastered in colourful, heroic Bible character paintings and favourite Scripture verses. Seeing the conditions of the country and experiencing first-hand how the people survive from day-to-day was also incredibly humbling. 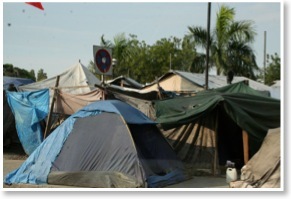 I cannot imagine living in the many situations that so many Haitian people call home. On January 12, 2011, the day of the first anniversary of the earthquake, people all around us openly gave thanks and praises to God for saving and helping them through the year. 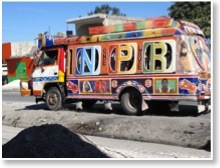 To me, the Heart of Haiti was seeing the children’s smiling faces every morning as I drove through the gate of the orphanage. 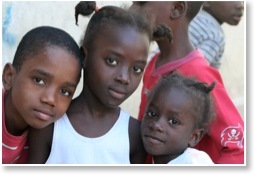 The most important thing I learned from my time in Haiti is to cherish the moments you have with the people you love. Everything can change in just a moment, and you will not regret the moments you shared with those people. Teiyaya is five, she lost both her parents in the earthquake. 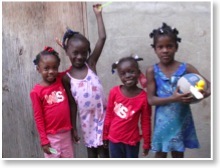 Like so many of these orphans, her life changed in just a moment. I also learned you don’t have to speak the same language to communicate. A hug, holding hands, and taking the time with a child are all the same in every language. Despite the language barrier, they are able to understand through your actions that you care.